Dice the stale bread or tear it into similar sized pieces, place in a large bowl and then set aside. 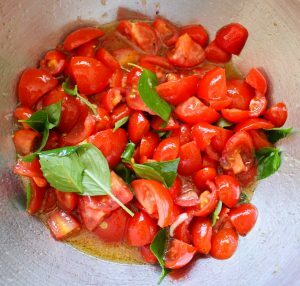 Place the halved tomatoes in a separate large bowl along with a grated clove of garlic. Salt the tomatoes fairly generously then add ¼ cup of white balsamic vinegar. 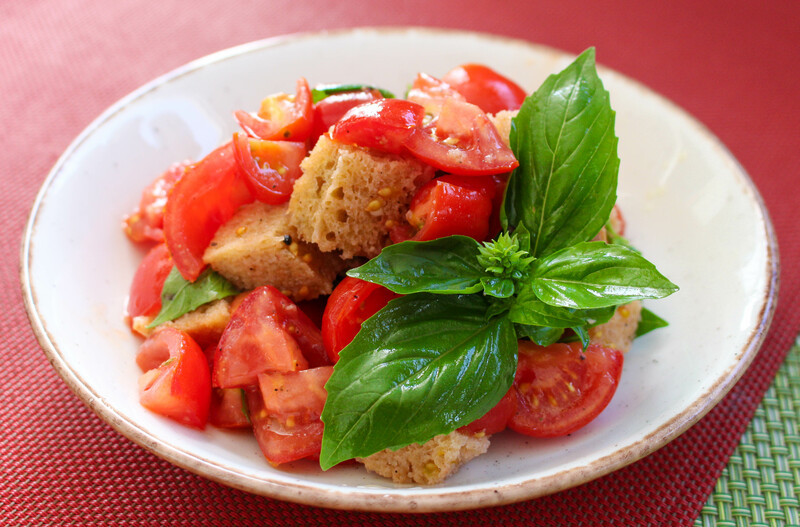 I use white balsamic vinegar as it is a mild and sweet vinegar. 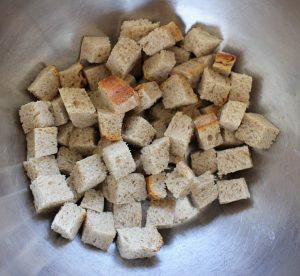 You can use red wine vinegar or regular balsamic vinegar but in this case I would advise using much less than if you were using white balsamic vinegar. Add some olive oil, ground pepper, a squirt of honey, a few torn basil leaves and mix well. Set aside for at least half an hour. About 20 minutes before serving combine the two bowls adding more olive oil to dress the salad. 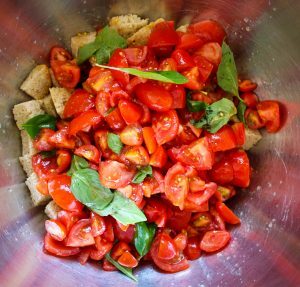 Allow 20 minutes for the bread to absorb the flavours of the tomato and basil dressing. Transfer to a serving dish and finish with a good glug of olive oil.